Every year before Halloween we are all forced to go on a family walk in Slindon. There’s a walk that has a fallen tree with loads of branches now growing upwards towards the sky which we’d always climb on, no matter how old we got. Then you walk up and around a lake where there is a horse in a field that everyone stops and coos over (except me) and opposite this there is a house with lovely wide windows and a huge lawn area that would be perfect for summer garden parties! 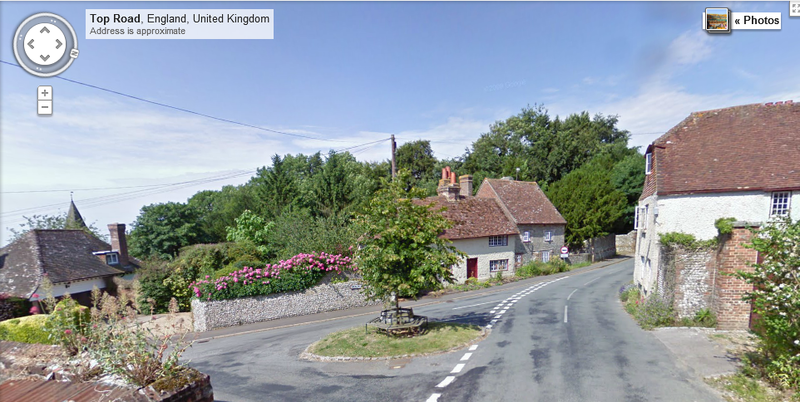 As you walk along church hill there are some gorgeous posh houses and quaint cottages, it’s so peaceful and pretty! There is also a sweet little bench that is set around a tree in the middle of the road- another thing we just have to sit on for a while, no matter how irritable our parents are getting as they try and coax us to walk more! 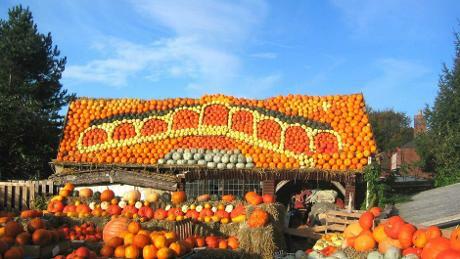 Eventually we come to the pumpkin display! We’ve always called it ‘going to see the gourd lady’ and I’ve always pictured her sitting all grumpy up in her house while hundreds of people flock to the display, oohing and ahhing and arguing over which pumpkin looks the best. I don’t know why I have this image, she’s probably perfectly pleasant! 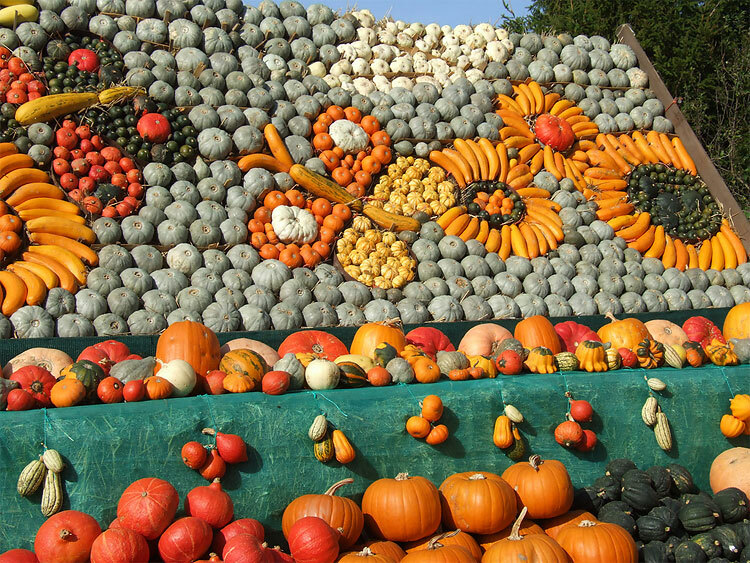 They have an amazing variety of pumpkins, all different shapes and sizes and colours! Slindon pottery also sell items they have made and we have been known to manoeuvre our parents into buying us a pumpkin shaped ceramic badge or postcard with lit up pumpkins on… items we never actually found a good use for! Usually we cousins pretend to hate the walk, moan and sit down as much as possible but secretly I have loved it all these years, I am actually quite sad that I couldn’t go this year and spend the time with my family in our tradition, breathe in the crisp autumn/winter air and challenge my brother by finding a ‘better’ pumpkin than him or dad. I thought I’d share my Halloween tradition with you as its the 31st today and whilst everyone is out partying or trick or treating I have to miss out on the festivities this year. We wouldn’t normally do anything on the night of Halloween except decorate the outside of the house with a pumpkin and sneakily eat the sweets between callers but this situation means I had to adjust and create new ways of celebrating. I have just followed the walk through the village on google street view, and Moira the ward sister decorated a basket with lights, tissue paper and fake spiders then brought round treats for the patients and in stead of carving a real pumpkin I was given one with lipgloss in and a chocolate one with smarties inside. Great blog, ask your mum about the late night pumpkin runs. False widow spider link had me enthralled! Just catching up on all your lovely and informative blogs. We were glad the L.P finally went ahead. Hope you are feeling okay. I too was fascinated with the link about the spiders and think the photos of the pumpkins are fabulous.